We will prepare your cruise itinerary with you and according to your criteria. We may advise you on weather conditions and depending on how much time you have. You must show proof of a sailing experience. Tahiti, « the mythical paradise », a beautiful tropical island and bordered by stunning ultramarine waters. Mo'orea, « The Yellow Lizard ». Mo'orea has conquered the hearts of many a painter, novelist and tourist from all over the world. You will need several days to discover this island. In Mo'orea, drop the anchor in the famous '?p?nohu Bay and Cook's Bay at the foothills of majestic Mt Rotui surrounded by scenic fjords. Tetiaroa, A five-hour sailing destination away from Mo'orea, Teti'aroa, a.k.a. « Marlon Brando's island », is an amazing ring of coral islets circling a dazzling crystal-clear still lagoon. Mai'ao and Meheti'a are remote islands and have no shelter to anchor at. A 15-hour navigation leg from Mo'orea will take you to Huahine, the magic island, so wild and so secret. 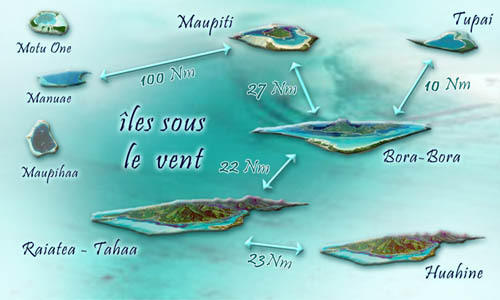 Taha'a, the vanilla island, is an enchanting paradise that is set on the same lagoon as Ra'i?tea. The island is the kingdom of navigators and has become a major leisure sailing destination. Discover Bora Bora island, a.k.a. the Pearl of the Pacific which is believed to be the world's most beautiful lagoon. She stands proudly some 4 hours away from Taha'a. In Maupiti, discover a precious gem with endless white sand banks spared from mass tourism. Tupai island has no pass so it's very difficult to land on. 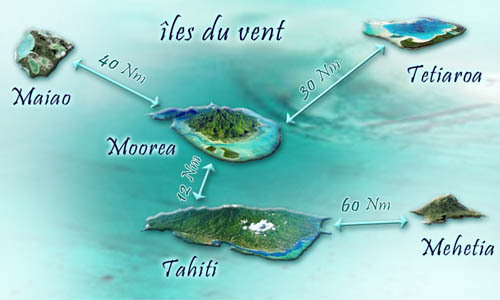 Manua'e, Maupiha'a and Motu One are located more than 100 nautical miles from Maupiti. Are you a die-hard navigator? You can plan to visit one or several of the four of French Polynesia's farthest archipelagos from Tahiti. 162 nautical miles east of Tahiti. 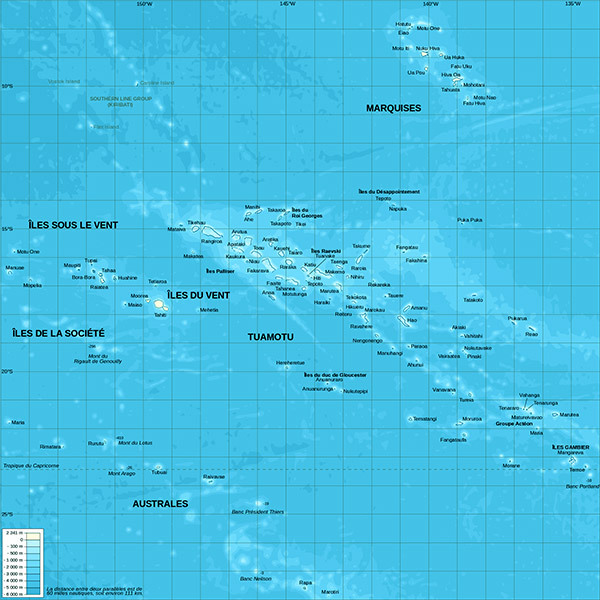 810 nautical miles northeast of Tahiti. 918 nautical miles southeast of Tahiti. between 324 to 650 nautical miles south of Tahiti.